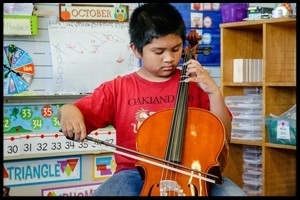 * To deeply engage under-served children in a multi-year program of music study and performance. * To build a positive community for children, families and schools through music. * To help children develop the habits of mind they need to succeed in school and in life. Find out about our organization, and history.